Pastors around the world have shared that there tends to be a leadership and influence gap between their church and the community in which they live. It seems that there are not enough leaders for the ministries of the church, much less to be salt and light in the community. In fact, many churches feel irrelevant to their community because they struggle to simply keep their own church running. Life on Life Ministries was founded out of Perimeter Church in Atlanta, Georgia, USA, to help other churches follow Jesus’ model of discipleship in their local congregations and communities. For years, Perimeter was recognised for growth and innovation, but realised that there was something missing – taking people to a level of maturity in their faith. The church realised that life-on-life missional discipleship had been at the core of their leadership development, but it was not the culture of the people in the church. It was not yet a movement. As Perimeter began to apply the principles of Jesus’ model of discipleship to shape the culture of discipleship in the church, they saw a new level of spiritual depth develop amongst their people. Simply put, life-on-life missional discipleship led to flourishing development of spiritual maturity throughout the church. We seek to follow Jesus’s model for developing leaders and bringing about true spiritual formation. Primarily using curriculum and content to transfer knowledge does not develop leaders. Through life-on-life missional discipleship, pastors and leaders can consistently develop mature and equipped followers of Christ. In 2012, Life on Life began a partnership with Christ Community Church in Brisbane to help launch a training hub for life-on-life missional discipleship. Alongside a number of additional churches, Life on Life Australia is now closing in on completing its second round of equipping clinics in Nov 2017. It has been a joy to see men and women catching the vision for making disciples and churches experiencing the fruit of matured leadership through discipleship. Life on Life works with local churches around the world to develop Life on Life hubs that can provide training for other churches in their region. This allows us to offer our relational training process outside of Atlanta. 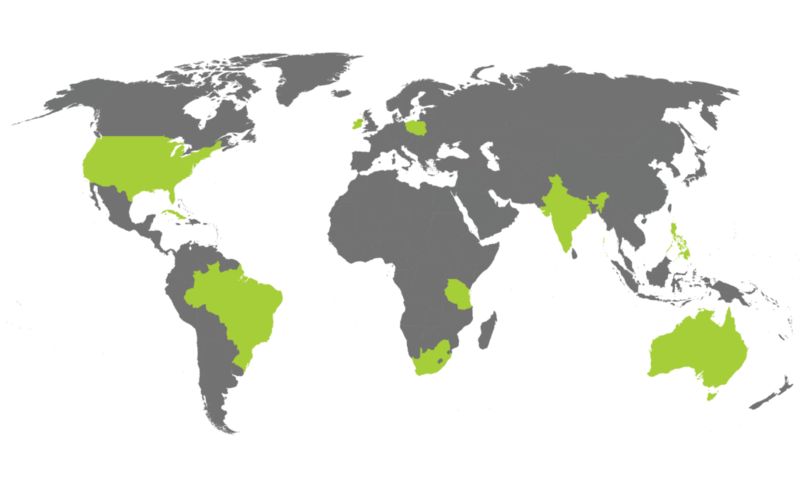 We have helped to develop hubs in Brazil, South Africa, Poland, Singapore, Manilla, Boston, Cuba, and Australia. If you would like more information about our training process, have questions about an event, or need technical help with accessing your resources, please shoot us an email.